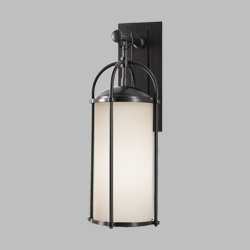 Espresso lines surround the white opal etched glass for this outdoor wall lantern. 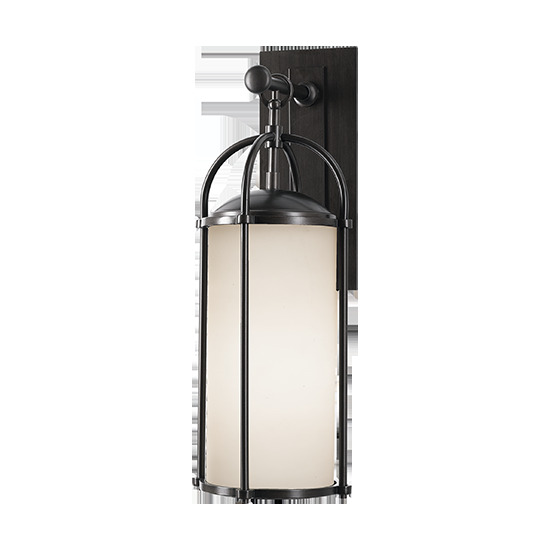 See for more outdoor lighting fixtures to being paired. Height: 20.5/8" - Width: 7.5/8" - Extension: 9.1/8" - Bulb: 150W Medium Base. Mount top: 8.5"